Circa 1930. 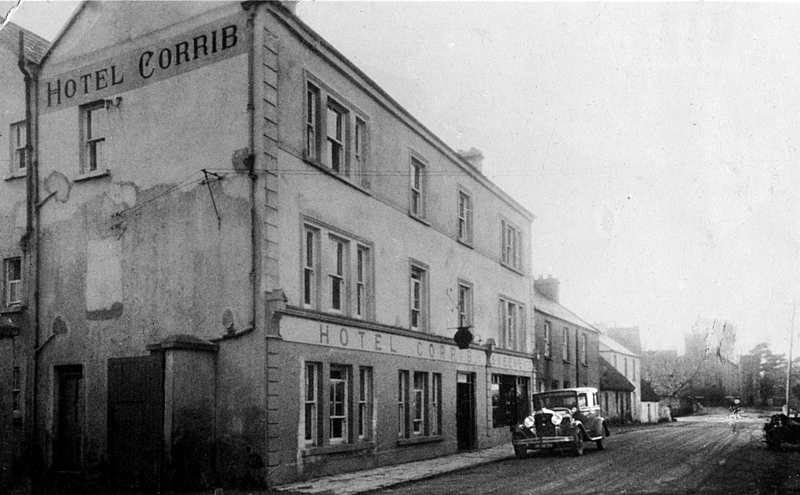 Corrib Hotel, Bridge Street, Oughterard. It was previously known as the Railway Hotel. The building was not listed as an hotel in Griffith’s valuation of 1855 but the Valuation stated that the building was owned by G.F. O’Flahertie and leased to Peter Walsh.